Classes are included for all members. Guests can experience their first class on us and additional classes for $30 a day. Our newest, hottest class. Push your limits with high intensity cardio intervals interspersed with muscle-defining moves. This full-body workout will shape lean, long muscles. Using the ballet barre and your own body weight, you will be guided through postures inspired by dance, yoga, and Pilates. By utilizing the barbell system and a step, you’ll feel the burn and get the results you came for in strength workout. Ride to the rhythm. This cycle class mixes a variety of tempos and drills over 45 minutes of music. By utilizing the barbell system and a step, this full-body workout will burn calories, build strength, and shape and tone your entire body. Press is all about building strength and utilizes a variety of equipment to sculpt all major muscle groups. No Cardio! This class is all about the core! Fire up your abs, lower back, and glutes to build a stable, stronger, and more powerful core. Strength training workout designed by Dr. Miriam Nelson, providing various benefits to help women maintain muscle mass, strength, and function as they age. All levels are welcome, as the simple strong movements may be made more intense with heavier weights. BODYCOMBAT is the fiercely energetic martial arts workout where you are totally unleashed and empowered. Karate, boxing, taekwondo, tai chi and muay thai enthusiasts will especially enjoy this. Utilizing movements from various martial arts disciplines this class will strengthen and tone while also increasing the heart rate creating a killer workout. Not your typical bootcamp, Octane uses 8 innovative training stations with specialty equipment to work the entire body. Exclusive playlists keep this class fast paced to ensure results. BODYATTACK is the sports-inspired cardio workout for building strength and stamina. This high-energy interval training class combines athletics, aerobics, and strength. Dynamic instructors and powerful music motivate everyone from the weekend athlete to the hard-core competitor! Step is not a thing of the 90’s at Healthworks! Strengthen, tone, and improve coordination. This low impact class uses cardio work to produce an easy-to-learn and effective workout. Bring the road indoors. This invigorating 45 minute class emphasizes cycling drills, training, and technique. A cycling workout that delivers maximum results with minimum impact on your joints. Tune in to some great music as your instructor takes you on a journey of hill climbs, sprints and flat riding. Available only at the Coolidge Corner location. Done on a mini trampoline, this high-intensity, low impact cardio workout will blast your core and tone your whole body. 30 minutes of easy to follow, low impact aerobics followed by 30 minutes of strength training. BODYJAM is the cardio workout where you are free to enjoy the sensation of dance. An addictive fusion of the latest dance moves and hottest new sounds puts the emphasis as much on having fun as breaking a sweat. Aerobic fitness class featuring movements inspired by various styles of Latin American dance. Let loose and have fun! A fun-loving, insanely addictive dance workout. SH’BAM® is an ego-free zone – no dance experience required. Dance based class that uses all the new hits to create simple and fun dance routines. Explore a new kind of movement that incorporates moves from dance, martial arts and other disciplines. An athletic approach to yoga, this fast-paced Vinyasa Flow fuses traditional poses with strength training and cardio intervals. Set to an upbeat playlist, this class will tone, boost stamina, and improve flexibility. All levels are welcome. A fluid blend of movements based in Pilates and yoga that will challenge the entire body with a special emphasis to take your core to the next level! Taking Barre to the next level! This fast-paced class incorporates Pilates, dance, cardio intervals and strength training all while stationed at the ballet barre. Some prior barre experience is recommended. Flowing from one pose to the next, linked by breath and focus, our Vinyasa class connects longer poses to build strength and flexibility. Class may be more focused on strength or flexibility, or mixed based on the instructor. Slow pace. 5-8 breaths per pose. A more athletic approach to yoga with a faster pace and challenging sequence that builds heat, stamina, lean muscle mass, and increased flexibility. This class leads practitioners through a slow flow of postures, breathing, and relaxation techniques. This meditative practice includes longer holds to ignite the body’s internal heat and allow deep release to occur. Students learn to balance strength with flexibility and effort with surrender in each pose. Enjoy the harmonizing benefits of yoga through this practice of gentle stretching and strengthening, breath work, relaxation and meditation. This class provides clear instructions and modifications, making it accessible to practitioners of all levels. A calming, therapeutic style that involves passive stretching while supported by bolsters and blankets. Restorative yoga quiets the nervous system and deepens the relaxation response. It helps to reduce anxiety and depression, facilitate restful sleep, increase immunity, and promote healing of soft tissue injuries. This class is ideal for pregnancy, injuries, older and beginning students, and as a complement to a more vigorous yoga practice. Adv. 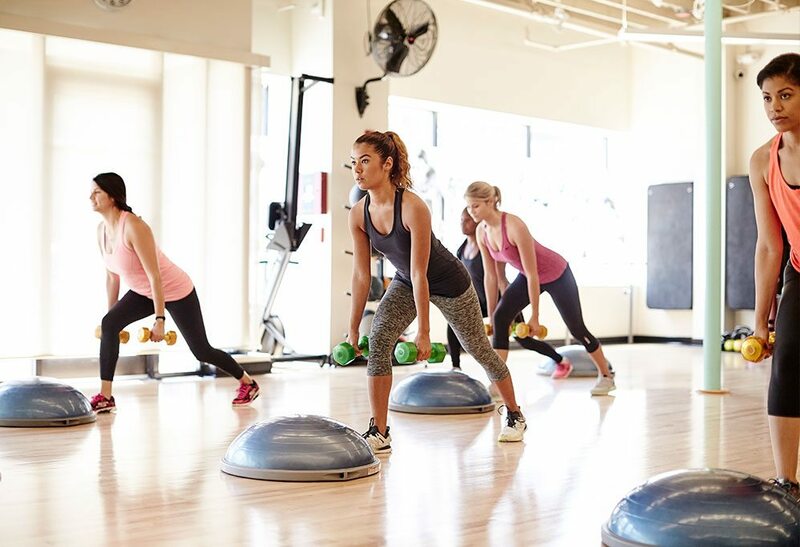 Body shop is a unique workout that brings you through a full-body experience of strength training, Pilates, Barre and alignment training. This challenging workout focuses on controlled movement and alignment. This maximizes muscle activation in all of your muscles, especially the underutilized smaller muscles of the body, improving overall strength, endurance, alignment and coordination. Available only at the Coolidge Corner location. Faster paced yoga class done to hip hop music. Hey, no one said great yoga had to be serious and slow. Uplifting music makes this yoga class fun. Exercise your body and mind as you learn to integrate breathing, muscle control and kinetic precision. Build a stronger core, increase overall muscle tone, and improve posture, stability and alignment. Perfect for new moms, this muscle conditioning class may also incorporate your little one. To help build endurance, cardio may be added to some class formats. For safety reasons, only non-crawling infants may be admitted into class.